Did you know you can whip up a gourmet chicken dish in a snap? 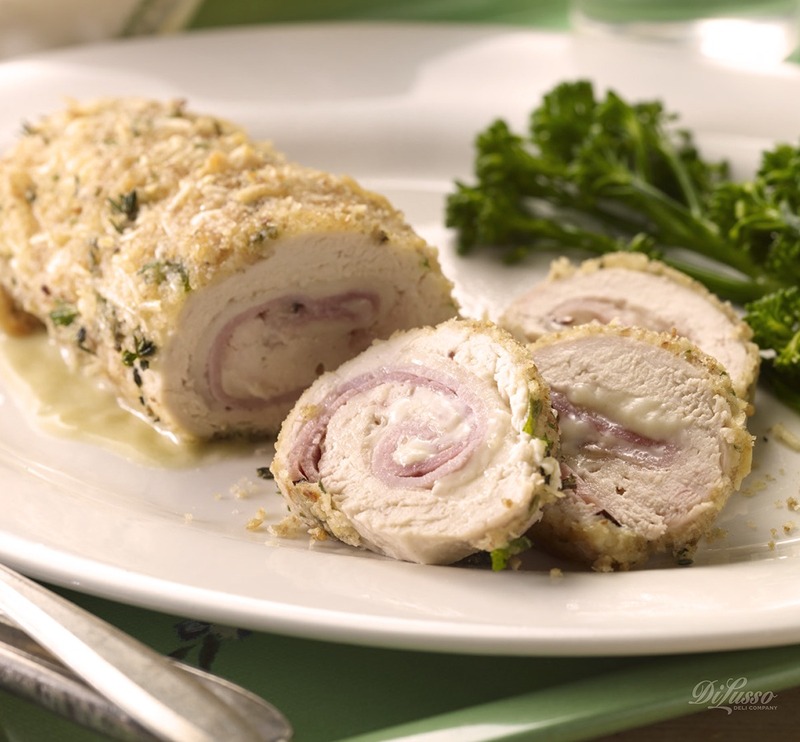 Our Chicken Cordon Bleu ("blue ribbon" in French) sounds fancy, but believe us, it's so easy to make. And it's so, so good. Cordon Bleu is thought to have originated in Switzerland, where it started as a breaded schnitzel filled with cheese. It became popular as a main course made usually with chicken, but sometimes veal, wrapped around a thin slice of ham or prosciutto and cheese, then breaded and fried. (Our version is baked.) A salad of spring greens, red onion slices, and dried cherries with balsamic vinaigrette would be a wonderful accompaniment. You'll need five boneless, skinless chicken breasts, 5 slices each DI LUSSO® Baby Swiss cheese and Black Forest ham, and dried, seasoned bread crumbs with Romano cheese. The rest of the ingredients are likely already in your fridge and cupboard.